The new era of Under-18 football now has the perfect companion, with the launch of the NAB League official app. The new app will deliver greater access to a wider audience, with footy fans able to discover Champion Data stats, follow live scores, view teams and read the latest news on the future stars of the game. 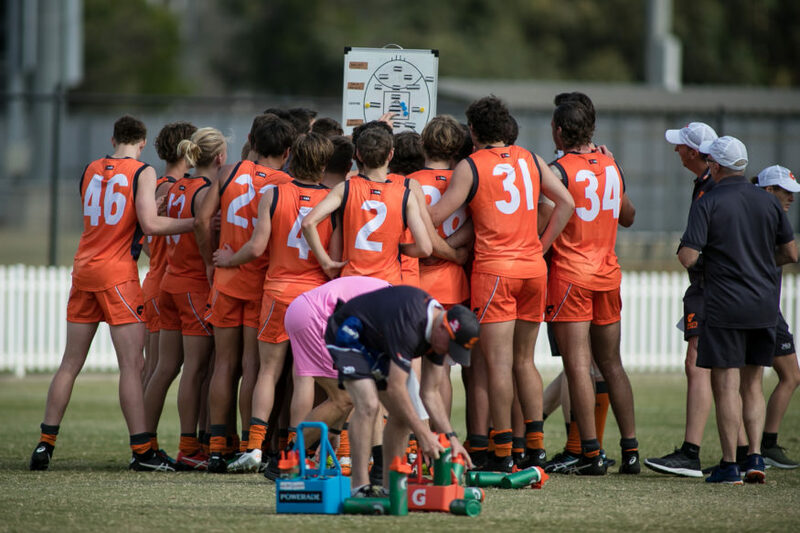 With the Sydney Swans and GIANTS Academies joining the NAB League this weekend, everyone will be able to follow their results during their five games in the competition. AFL Head of Talent Pathways & State League Competitions, Tristan Salter, believes the app will revolutionise the competition. “This is perhaps the biggest step forward in under 18 football, with greater access and more exposure for players and clubs in the NAB League competition,” Salter said. “Fans, players and officials will for the first time have access to information at their fingertips and will be able to follow the competition week in, week out. “We’re thrilled with the app’s layout – it’s a simple, clean and immersive experience made for footy fans. All boys’ games will be streamed live on the app, with broadcast commentary to feature on select matches across the year. All girls’ matches (not involving the Sydney Swans or GIANTS Academies) will be available via the NAB League app after each round. CLICK HERE to download the NAB League official app for android.